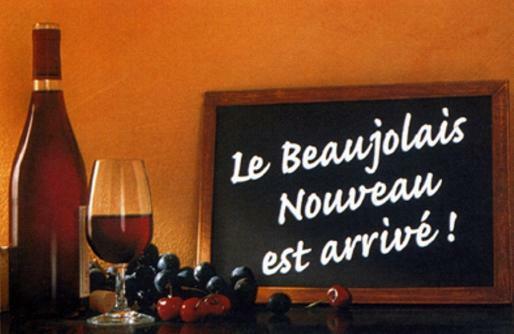 Following tradition today sees the release of the 2011 Beaujolais Nouveau. By law the wine can not be released until the third Thursday of November after its harvest, so at midnight the first bottles were uncorked and the celebration started. The wine hails from the area of Beaujolais in the Burgundy region of France. It’s a young red wine, normally around 6 weeks old that is light in body and fruit character. It is made using the Gamay grape, a popular grape to the Beaujolais area. As the wine is so young it has little tannins and takes on a purple colour. It should be consumed almost immediately or at least within the year it is produced. Some say it should be drunk by Christmas. Why not go out this evening and pick up a bottle and enjoy what the new year harvest has to offer.